The U.S. Department of Defense is going to standardize 4 million computers on Windows 10, a significant endorsement for Microsoft's latest operating system. 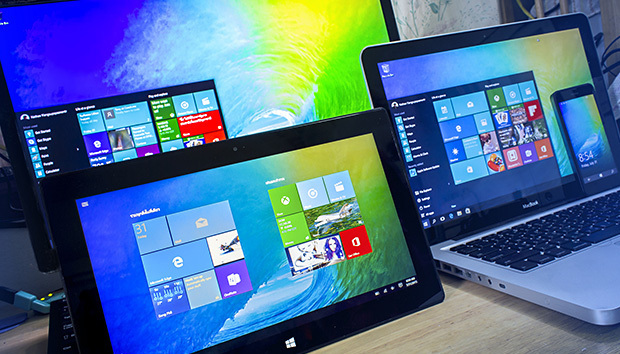 It marks the largest announced deployment of Windows 10 in an enterprise setting to date. The goal is to have all of the DoD's computers that are currently running older versions of Windows upgraded to Microsoft's new OS within a year. That's an incredibly fast timeline for an organization of the Defense Department's size, especially since Windows 10 hasn't yet been on the market for a year. It's a move to streamline the department's IT infrastructure, which is increasingly important as a key means of protecting from digital attacks. Wednesday's news is also a sign of the government's confidence in Windows 10, and will be a signal to other organizations about where the enterprise PC market is going. It's unclear yet how much the migration will cost the Defense Department, which spends around $44 billion every year on IT and cybersecurity. In addition to the deployment news, Microsoft's Surface line of products has been certified to meet the Defense Department's security and interoperability requirements. That means it's easier for the tablets to be worked into government deployment plans for new technology, and could mean more business for Microsoft, especially as the DoD upgrades to Windows 10. Those 4 million DoD devices will help Microsoft reach its goal of getting 1 billion devices worldwide running Windows 10 by late summer of 2018. It should be able to make that goal, especially since Gartner has predicted that roughly half of all enterprises will start their Windows 10 roll-outs this year.